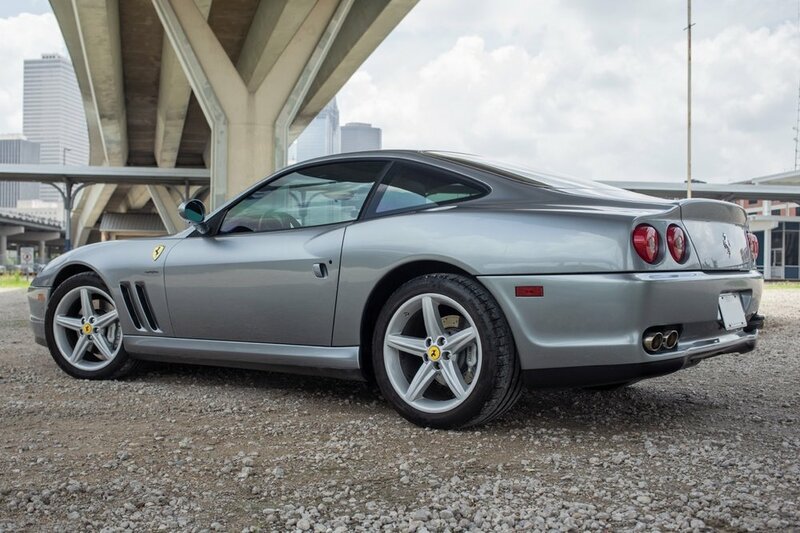 The 575M followed the 550 as Ferrari's return to the classic front-engine V12 layout, not seen since the 365 GTB/4 Daytona in the early Seventies. 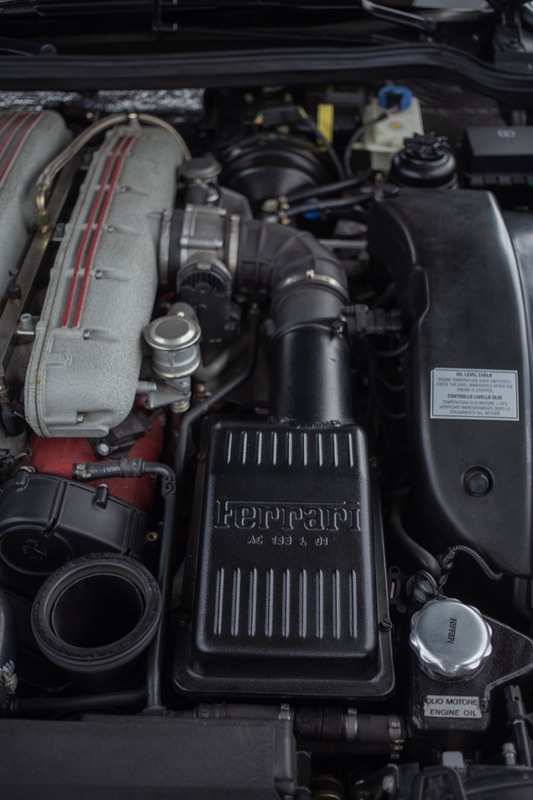 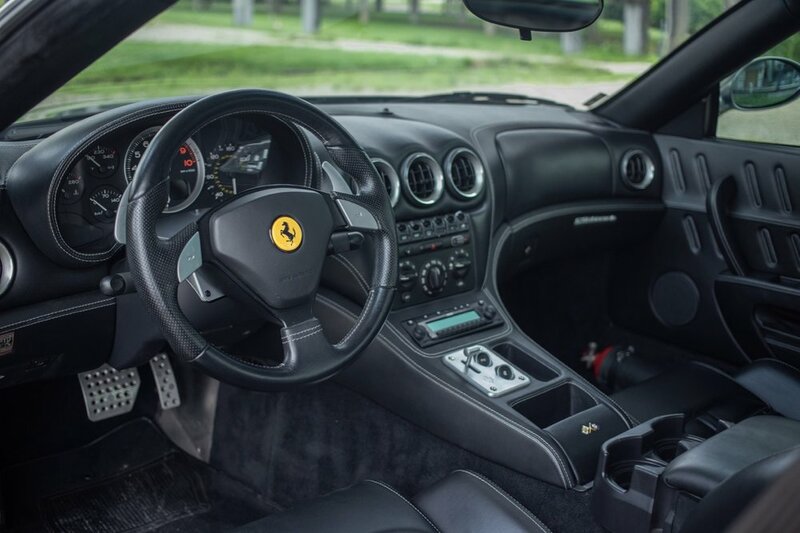 The front-mounted V12 engine is an absolute masterpiece, producing 508 hp and 434 lb-ft of torque, with an almost completely flat torque band and that inimitable Ferrari V12 sound. 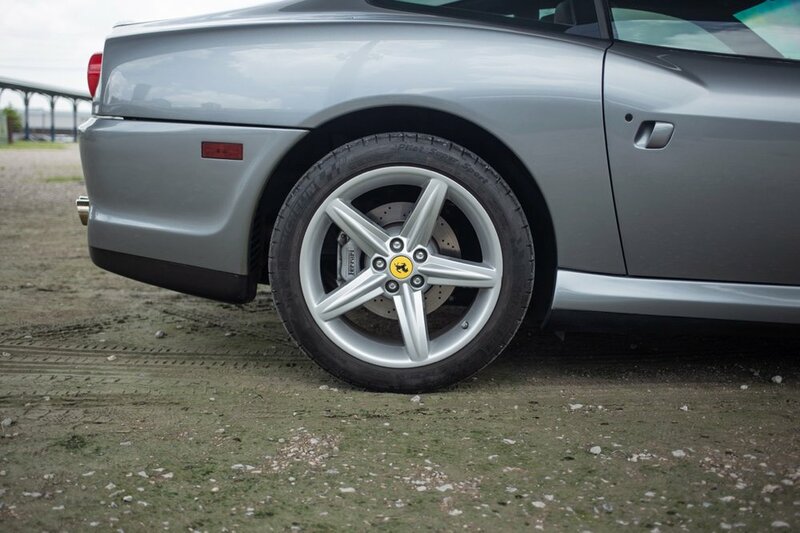 A perfect 50/50 weight distribution creates a wonderful handling balance, which only gets better at speed. 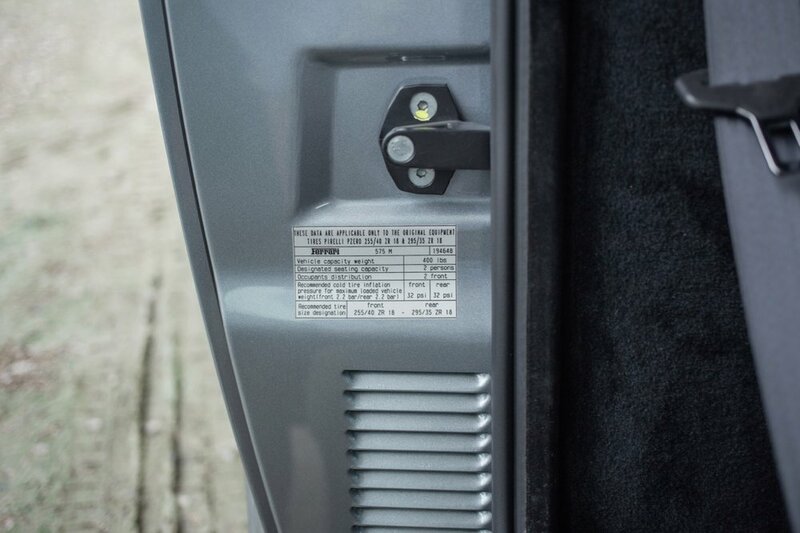 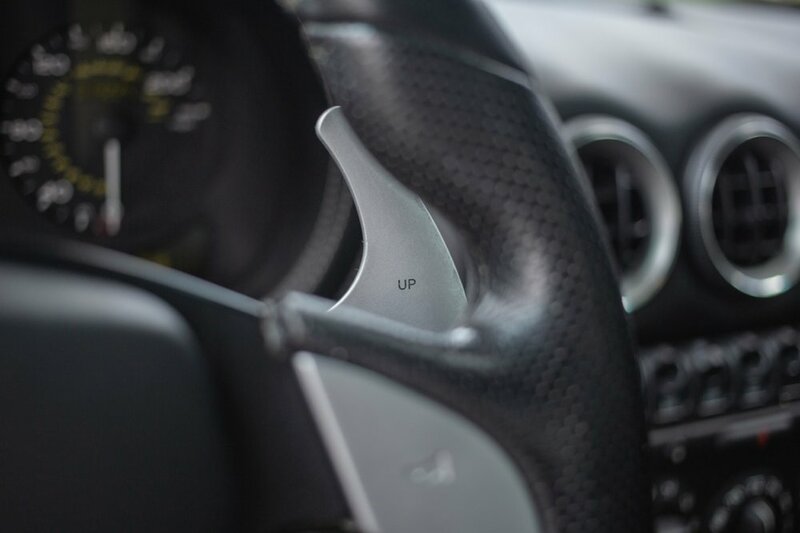 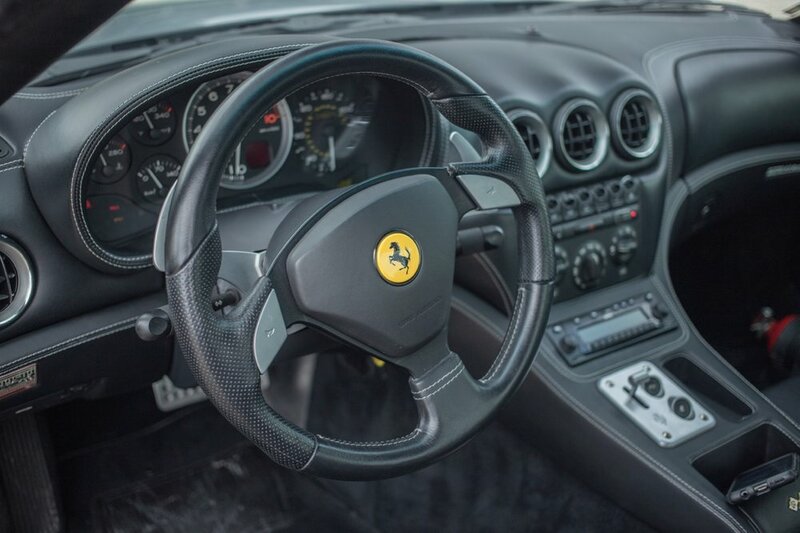 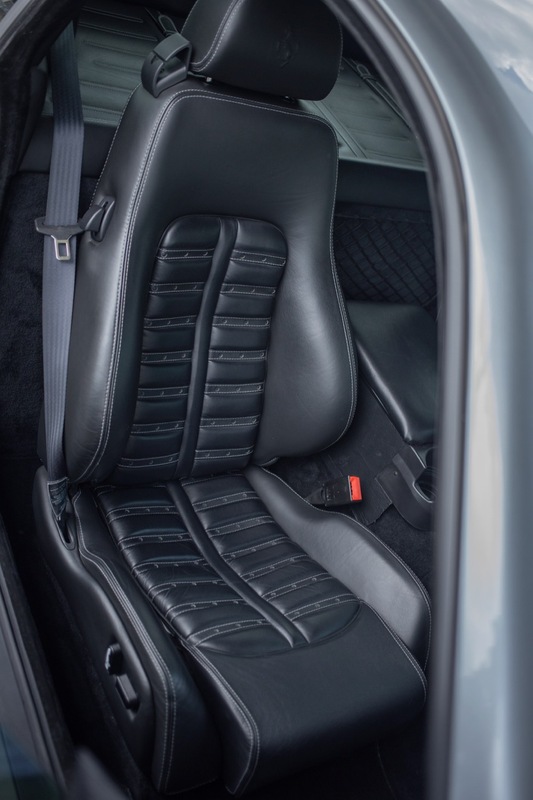 The 575 also featured the F1 automated manual gearbox, with the iconic paddles on either side masterfully controlling the large amount of torque and horsepower available to the driver. 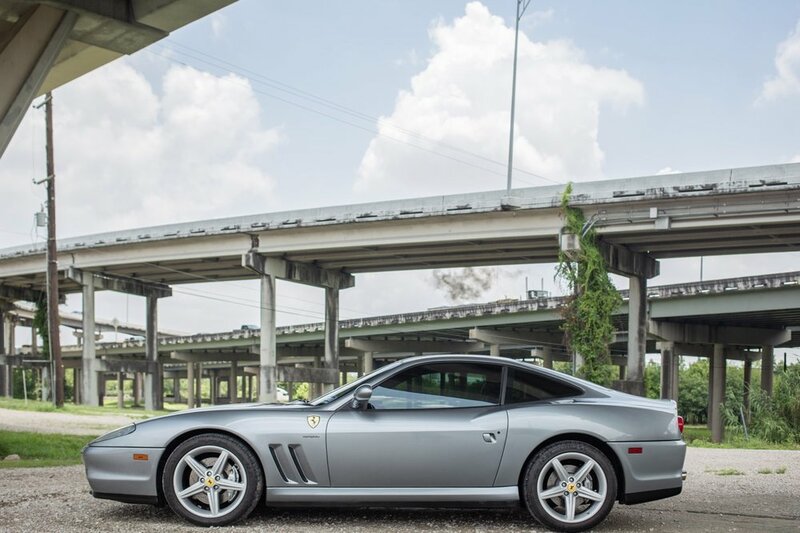 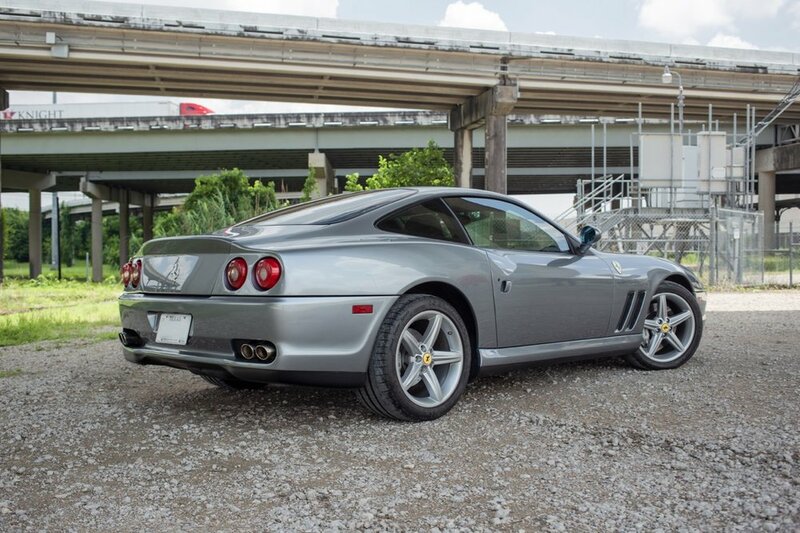 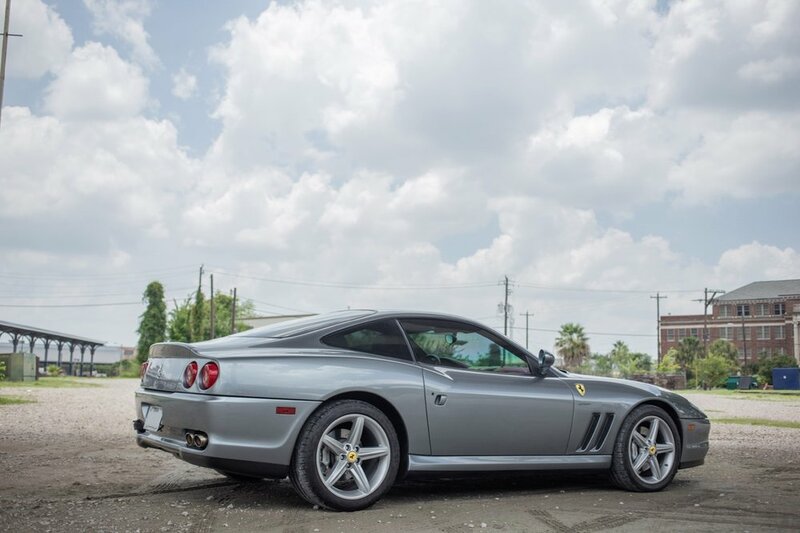 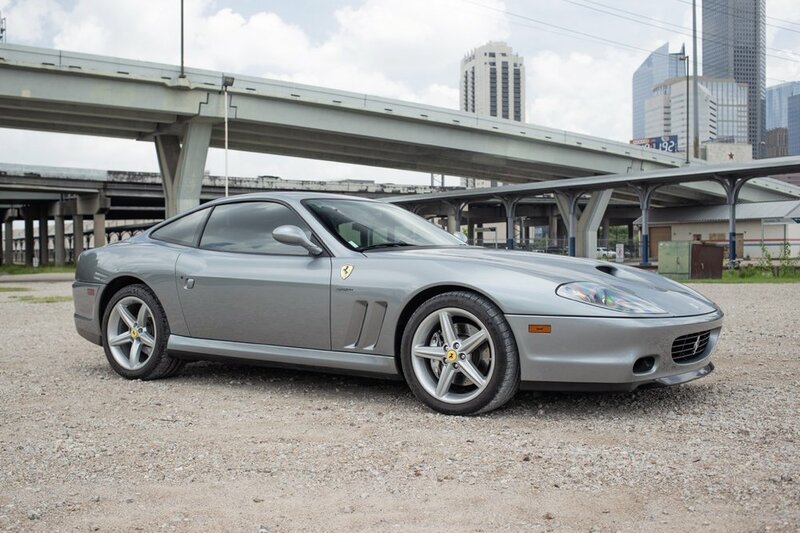 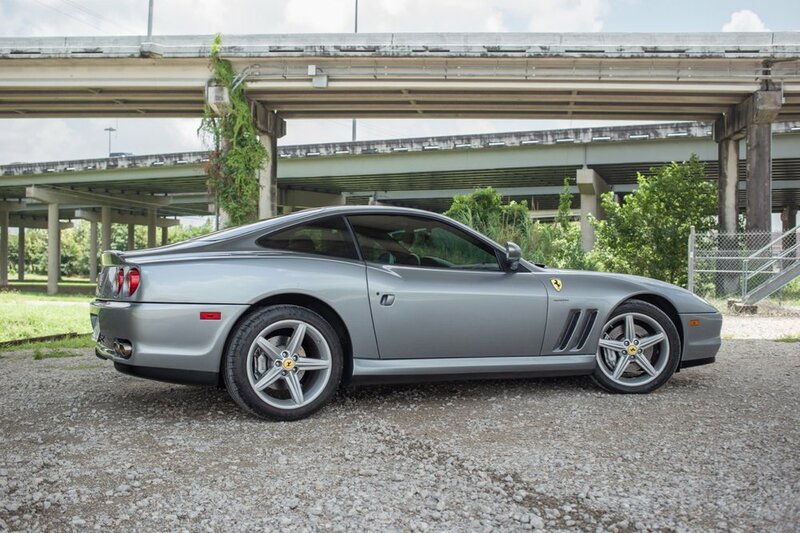 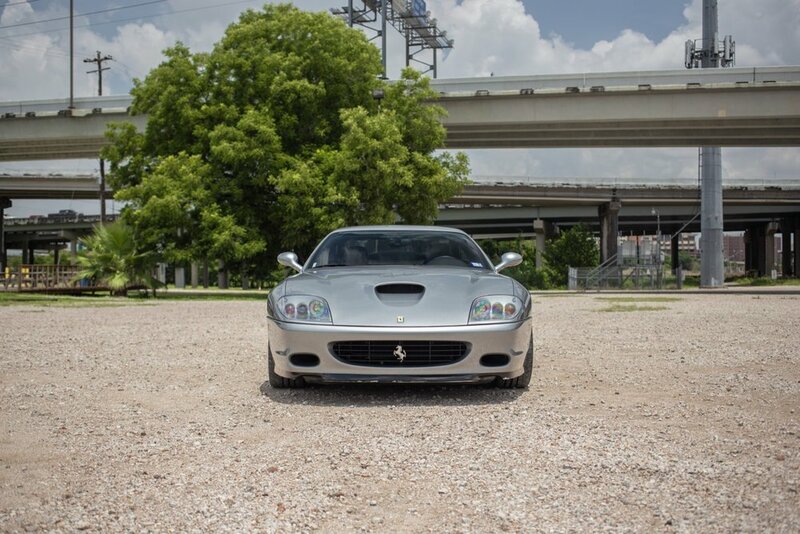 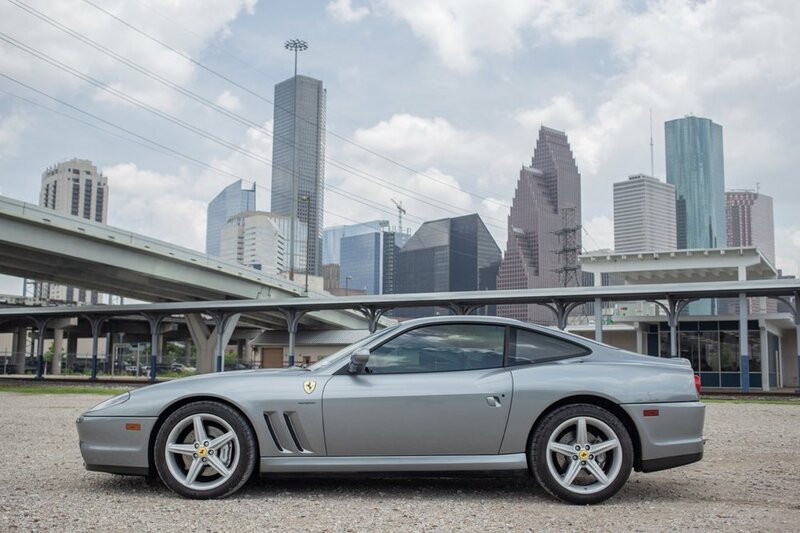 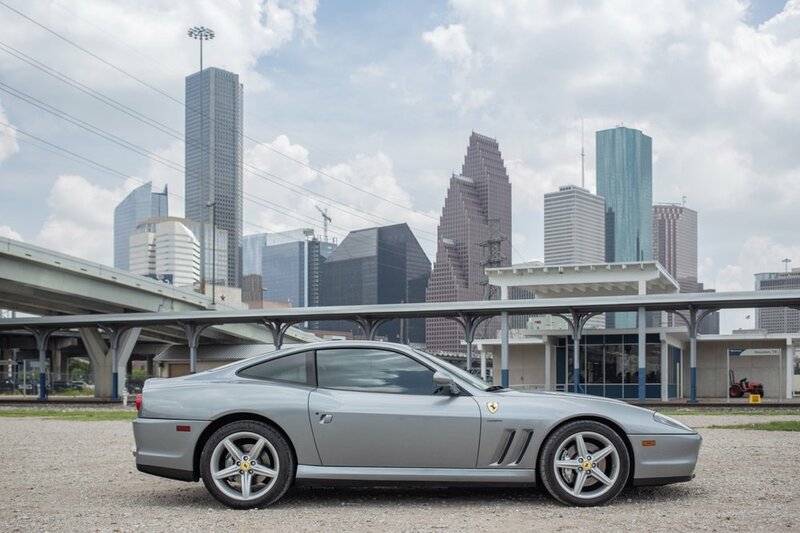 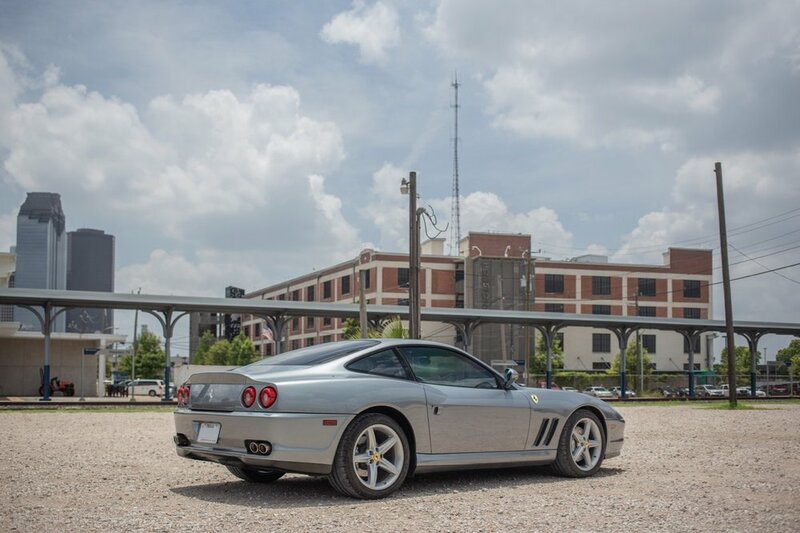 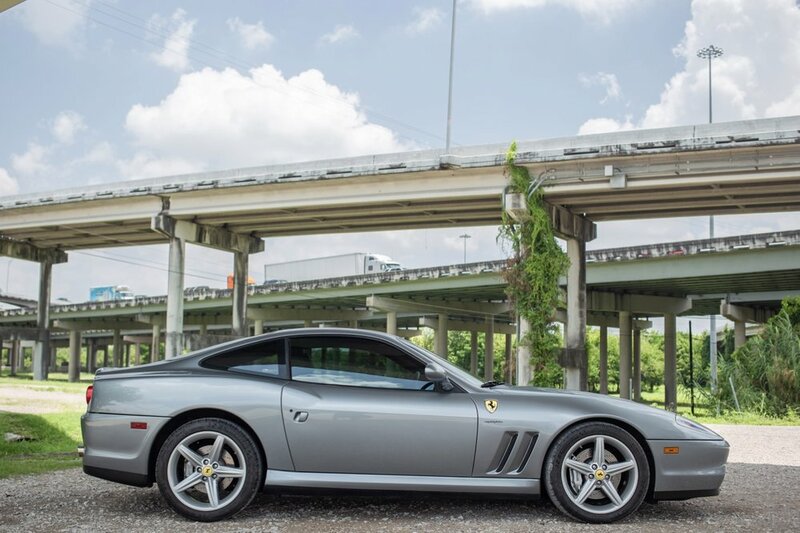 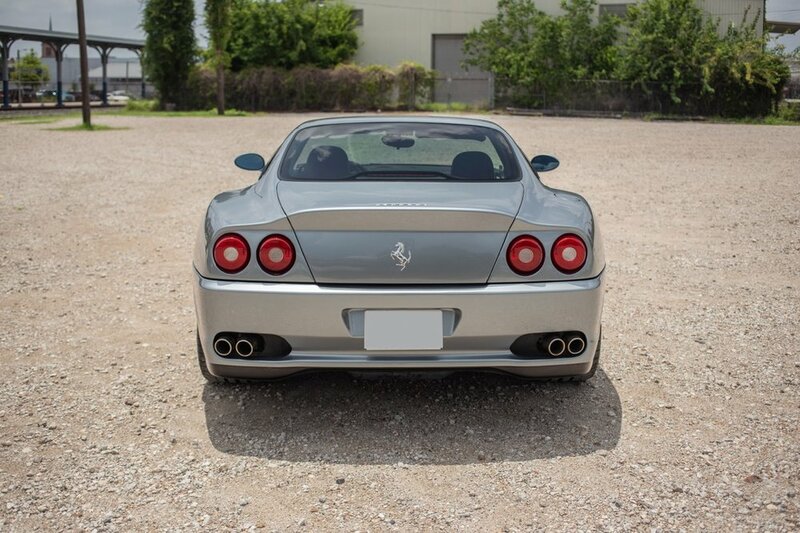 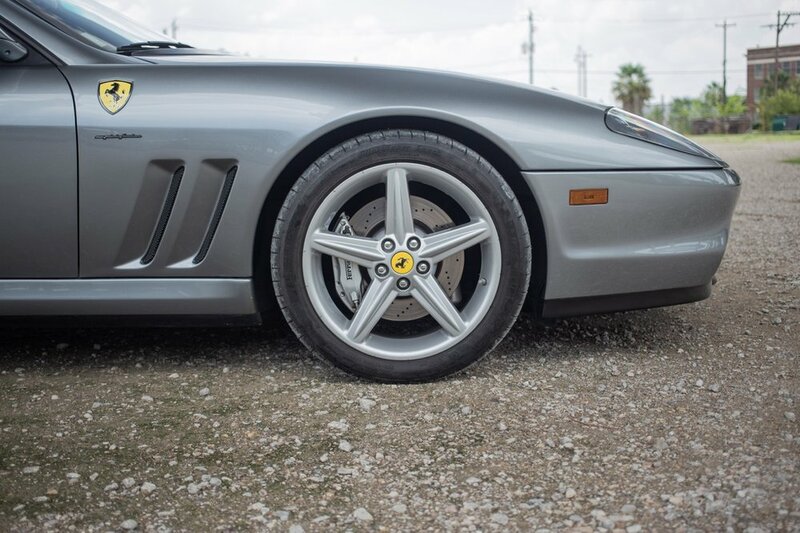 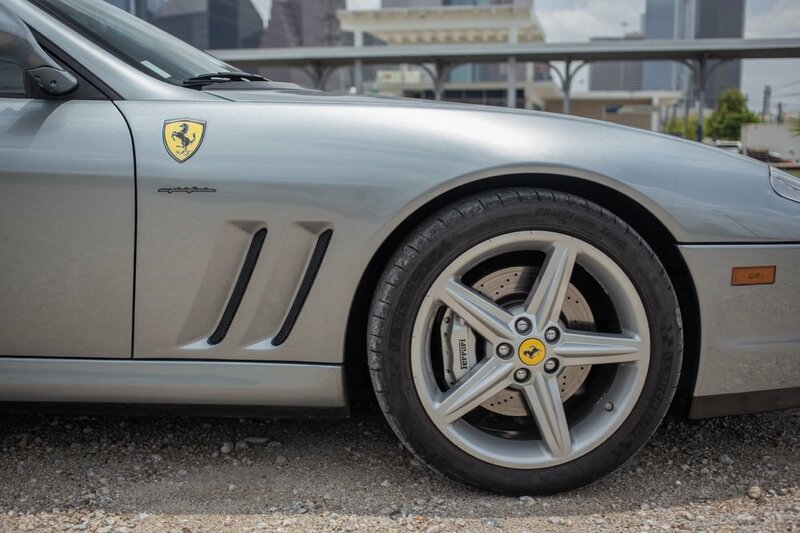 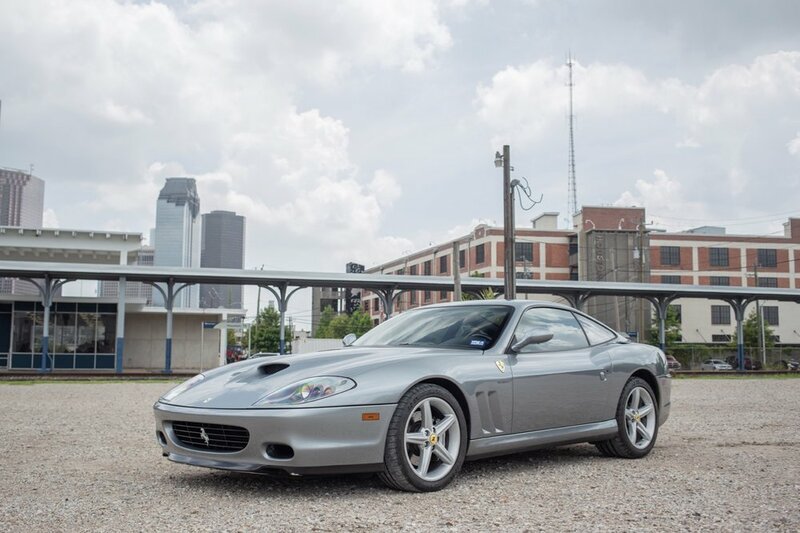 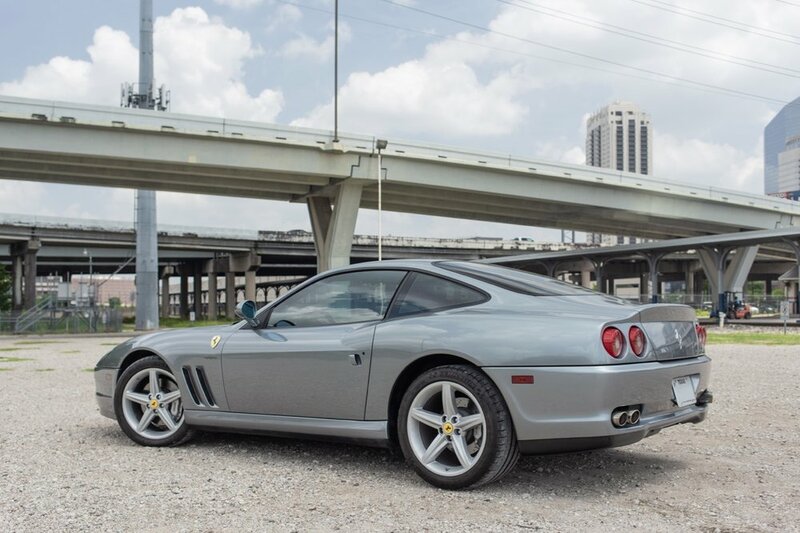 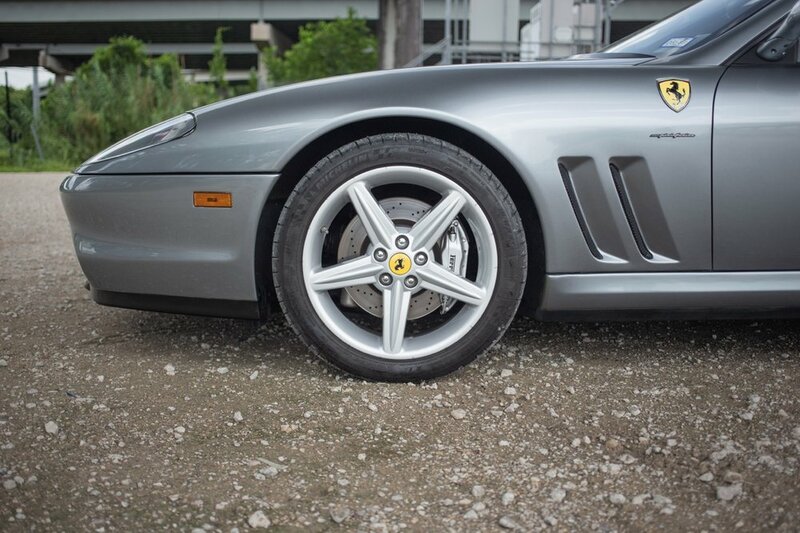 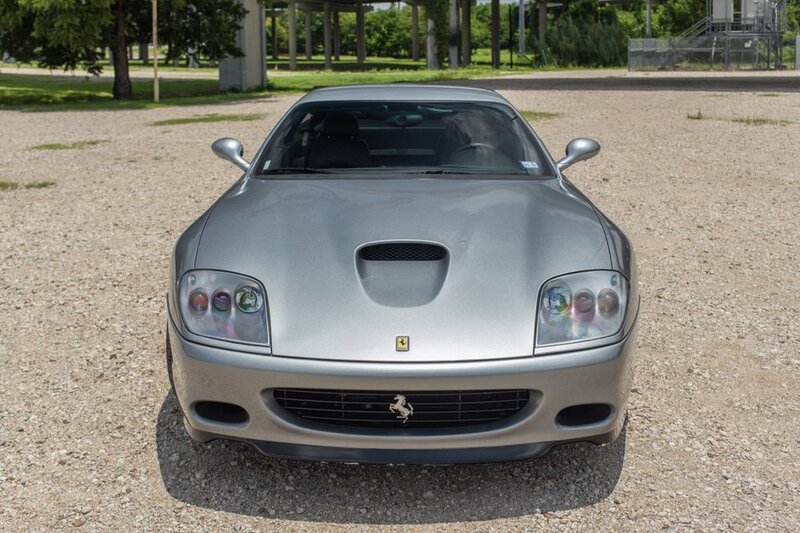 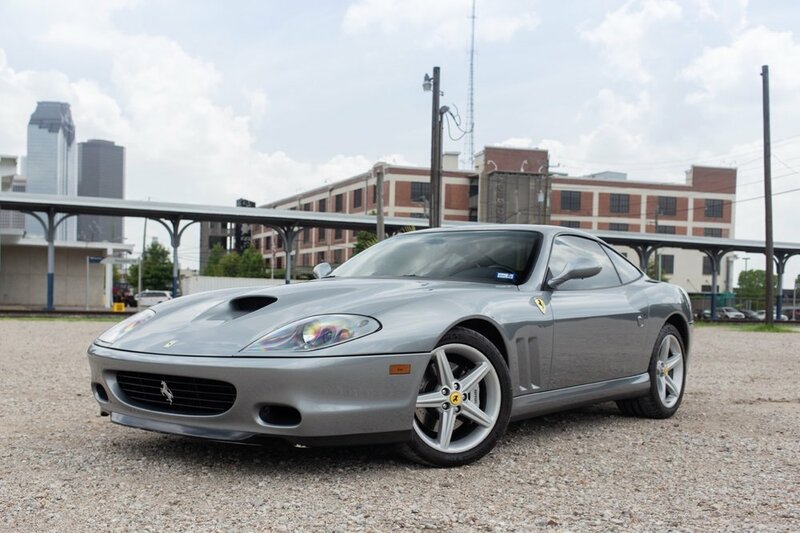 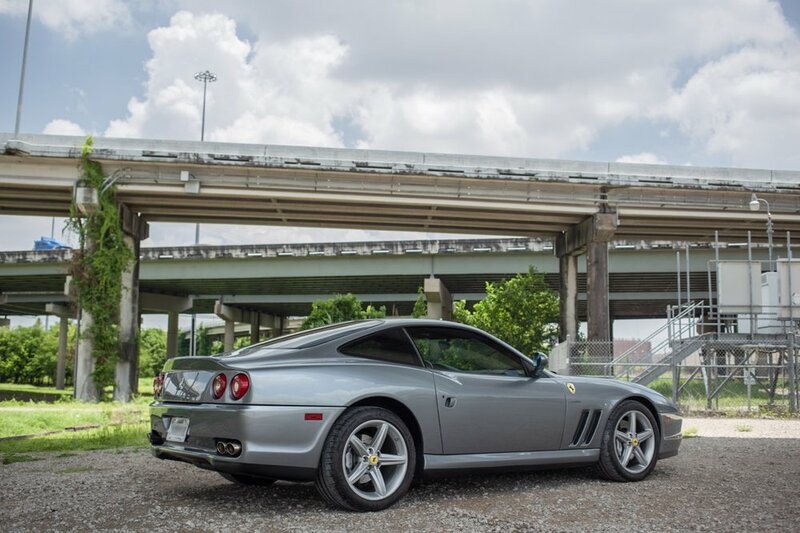 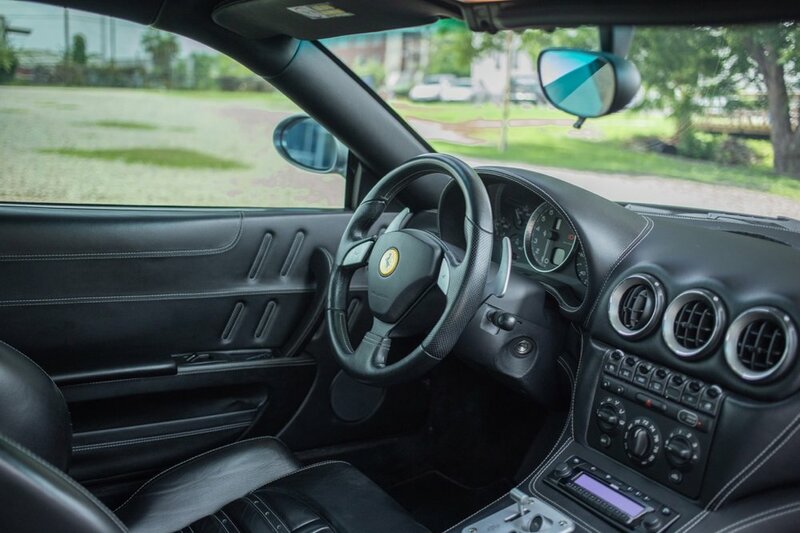 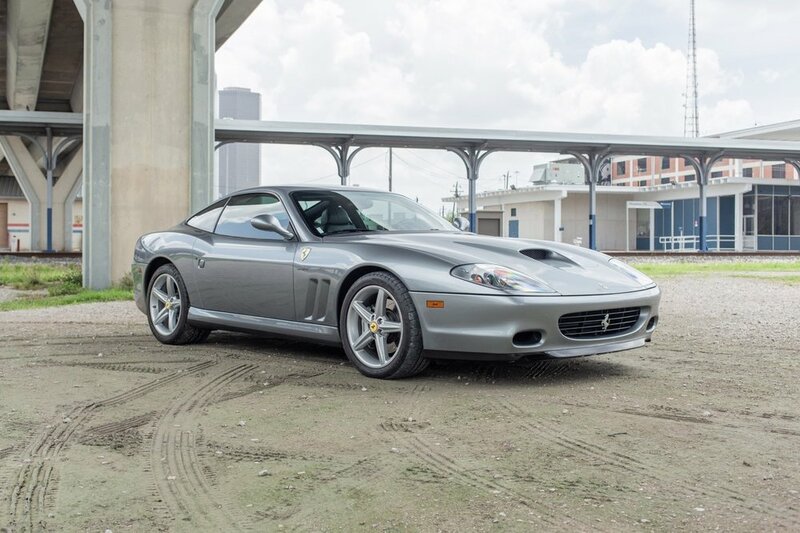 This stunning 2002 Ferrari 575M Maranello, on consignment with my dealership, is finished in the classic color combination of Grigio Titanio (titanium gray) over a Nero (black) full leather interior, with contrasting light stitching on the optional "Daytona"-style seats. 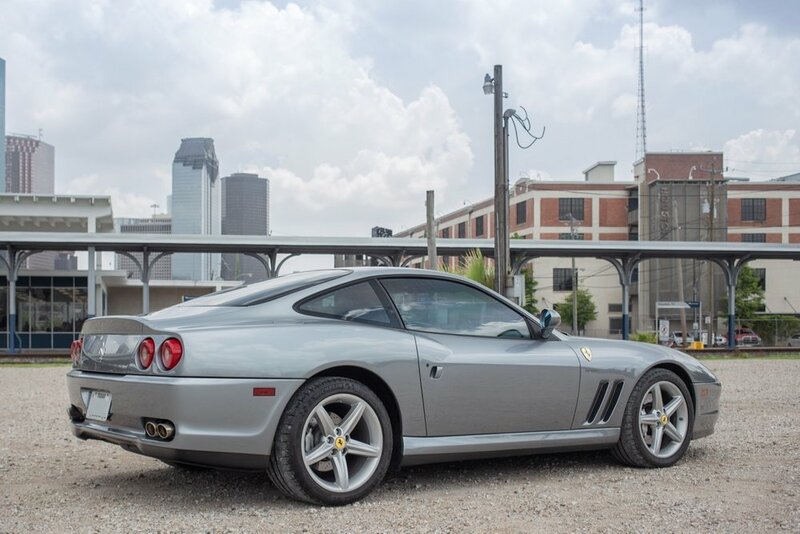 It has only covered 14,200 miles in its history, and is in correspondingly excellent condition. 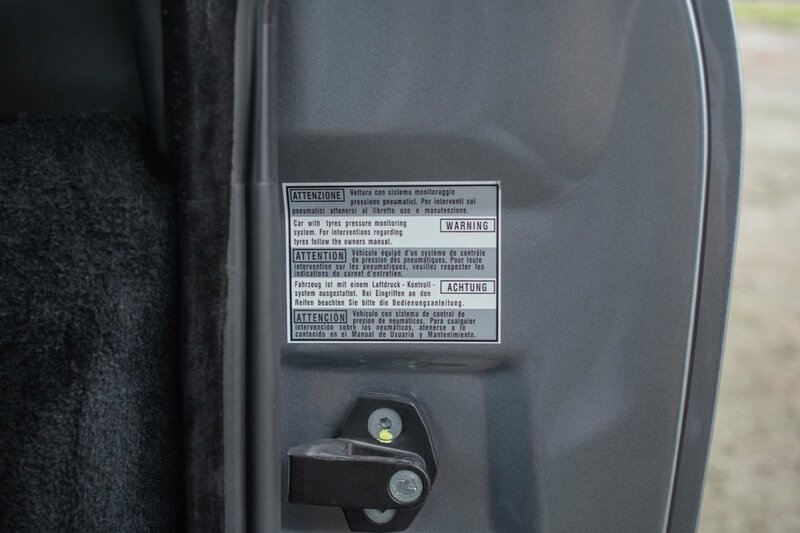 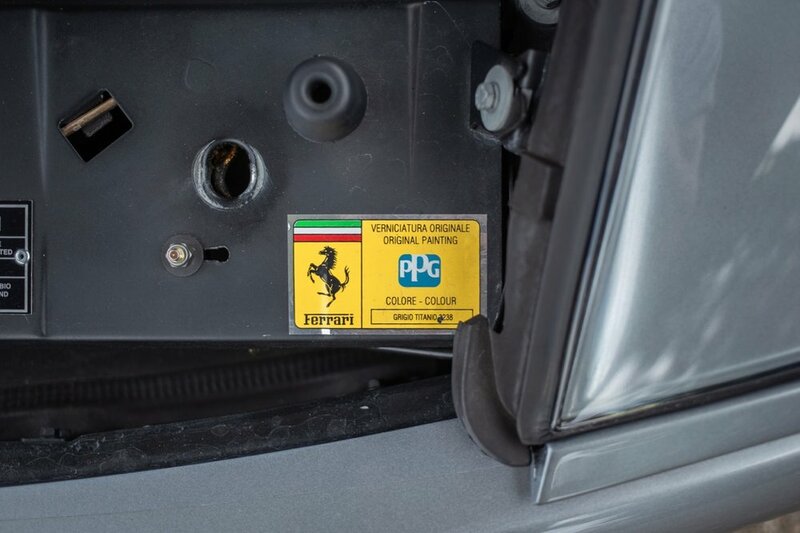 The paint shows extremely well, with a clear film covering the front of the vehicle. 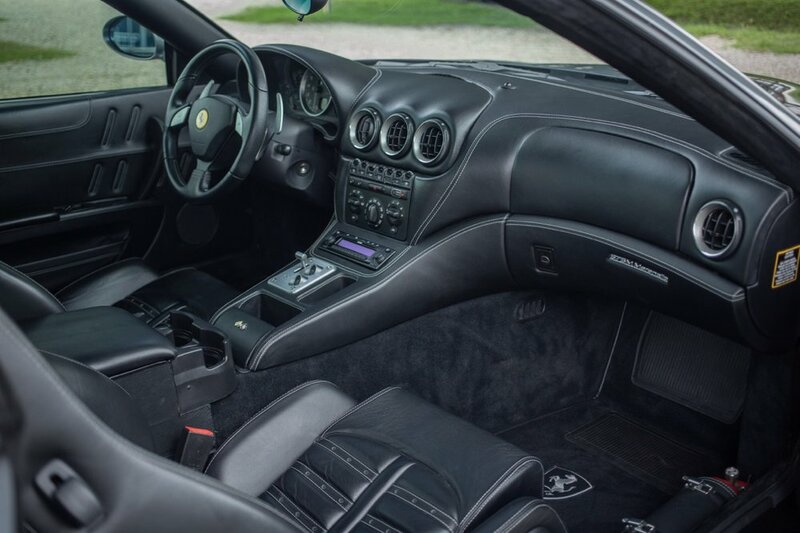 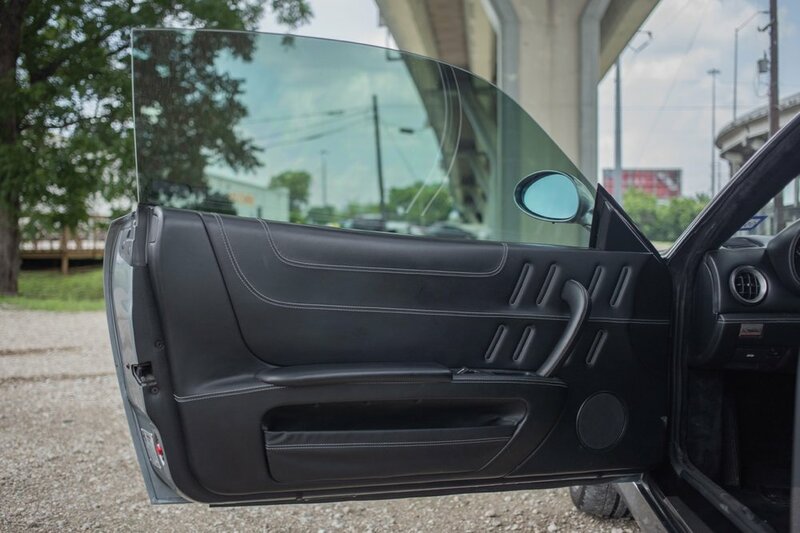 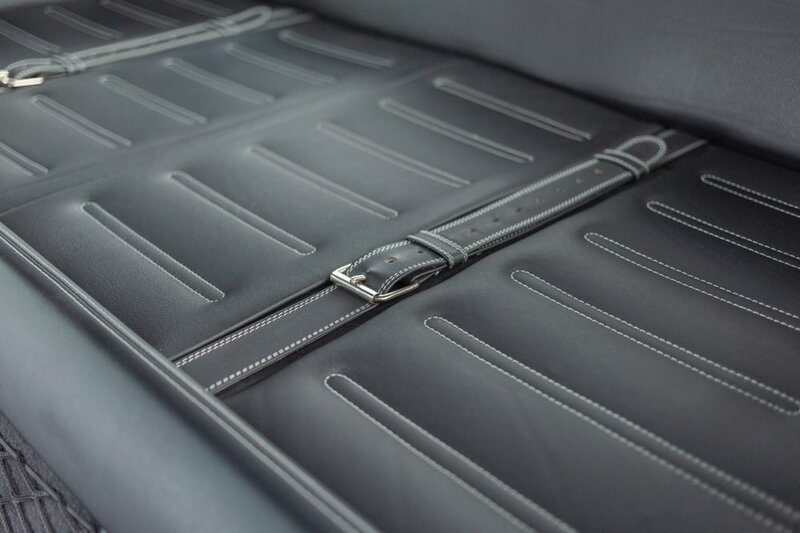 The interior is similarly in very good condition, with only some slight "shrinking" on the leather dash, which was refinished in the car's history. 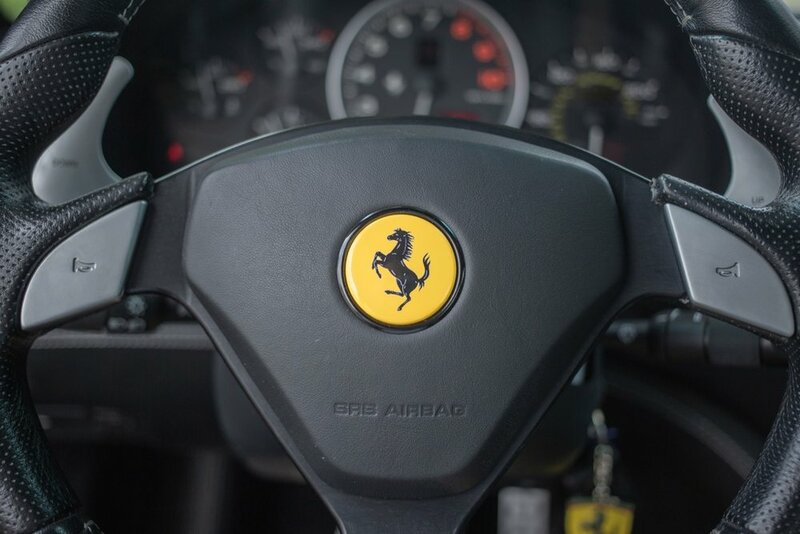 The Carfax report is clean, and confirms the low mileage with consistent odometer reports from 2002-2017. 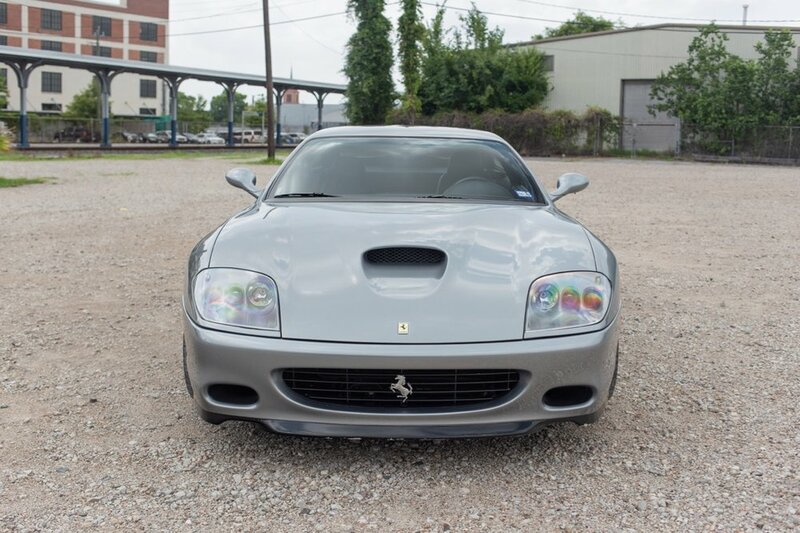 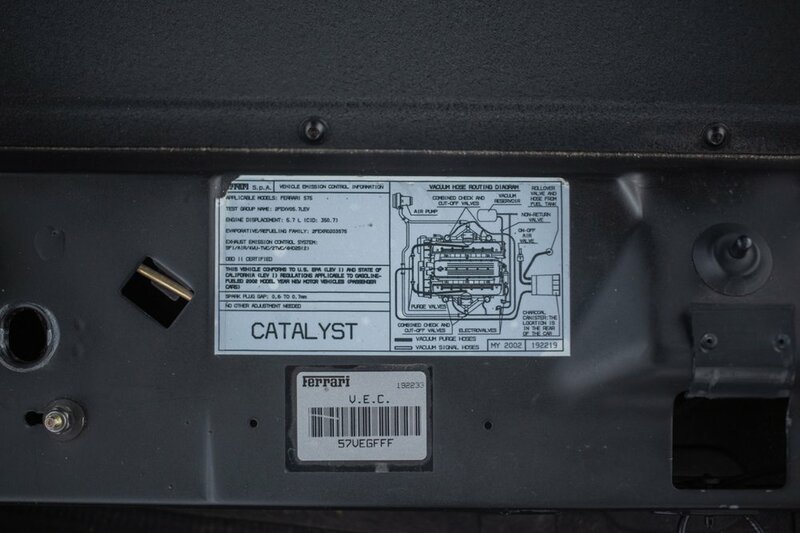 Mechanically, this car is also in fantastic shape. 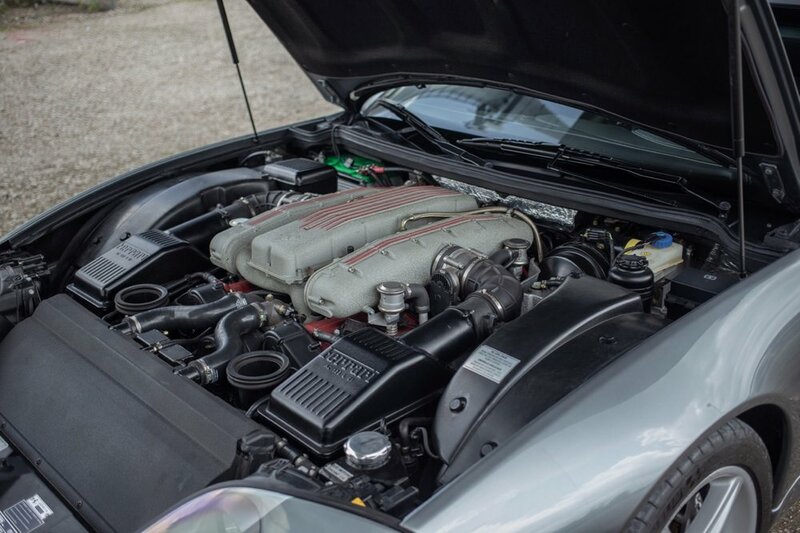 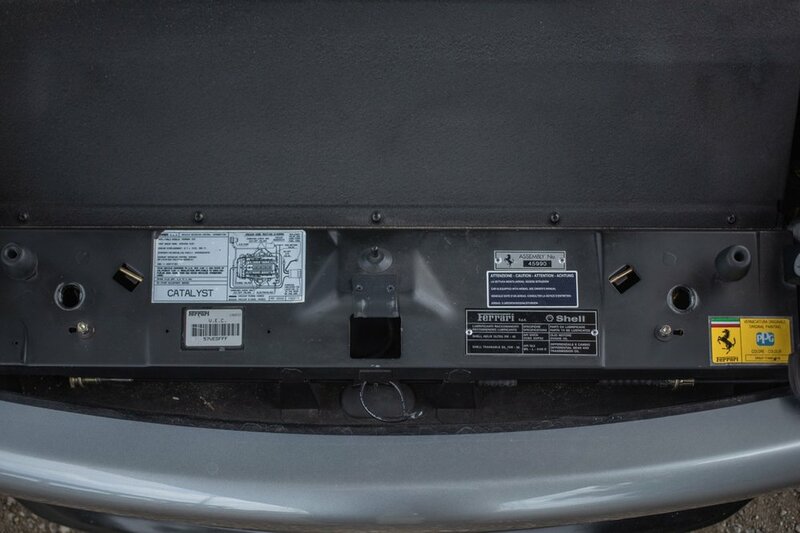 A full major service, including timing belts change and new engine mounts, was performed in 2016, and service history dates back to 2010. 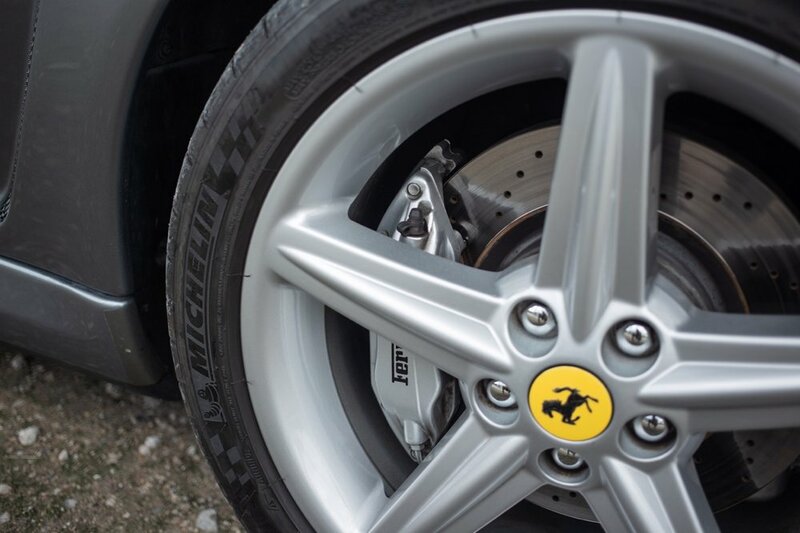 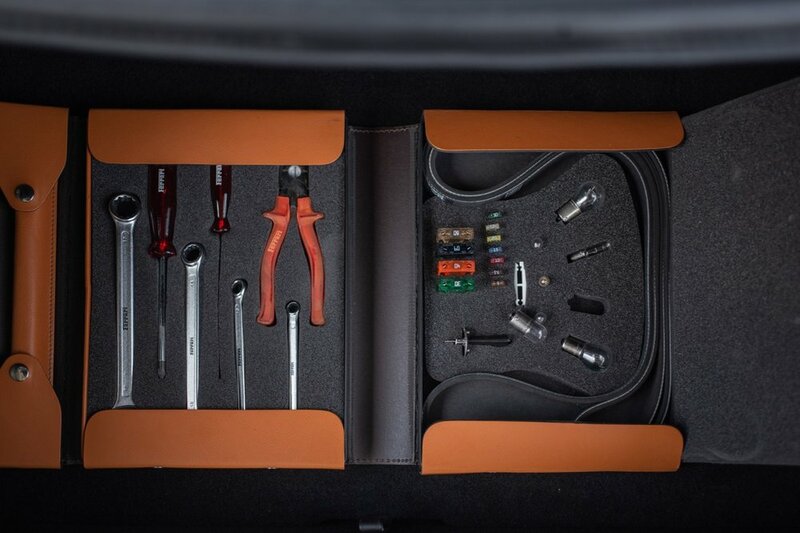 Four new Michelin Pilot Super Sport tires were installed in 2017, and recent service in 2018 included a new clutch position sensor, battery, and oil change. 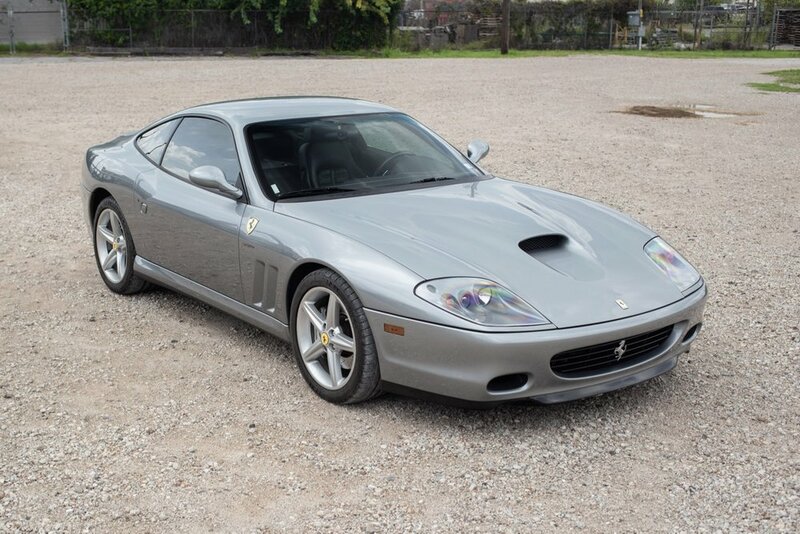 I have personally driven this 575M, and it is an extremely solid car. 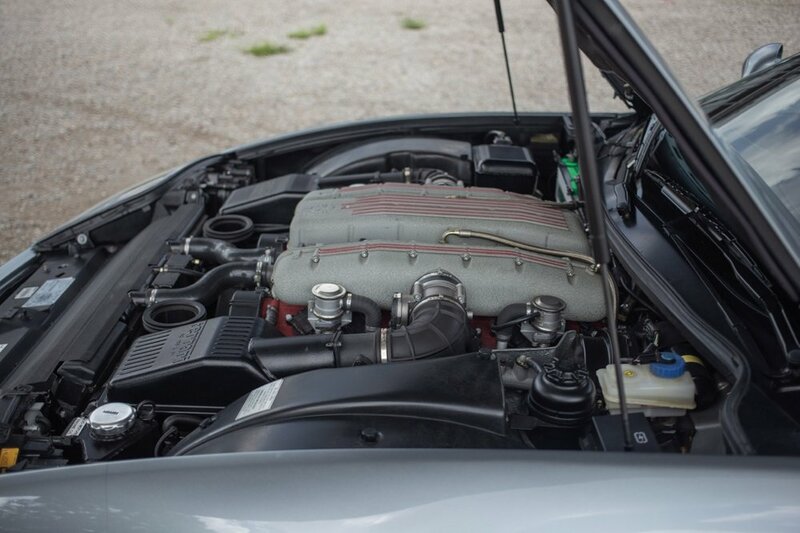 The engine is incredibly strong and keeps pulling like a freight train to redline. 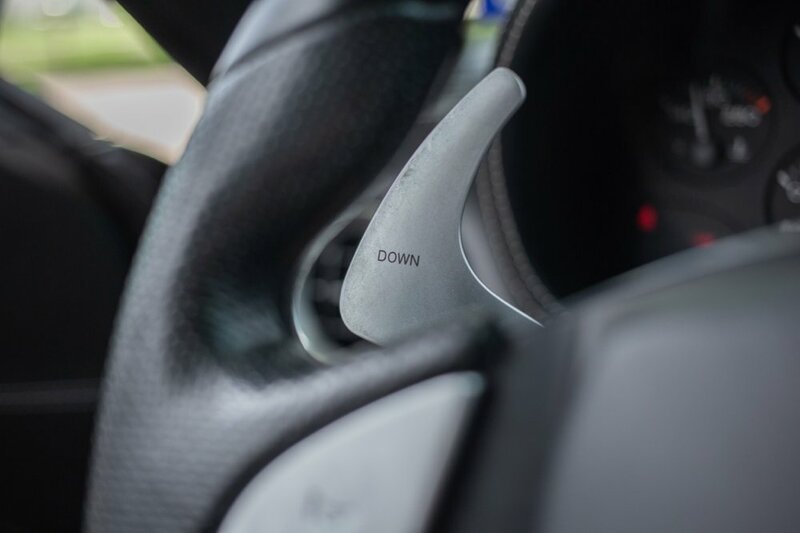 Steering is sharp and true, the handling is perfect, the F1 shifter works as it should, and the powerful brakes stop the car on a dime. 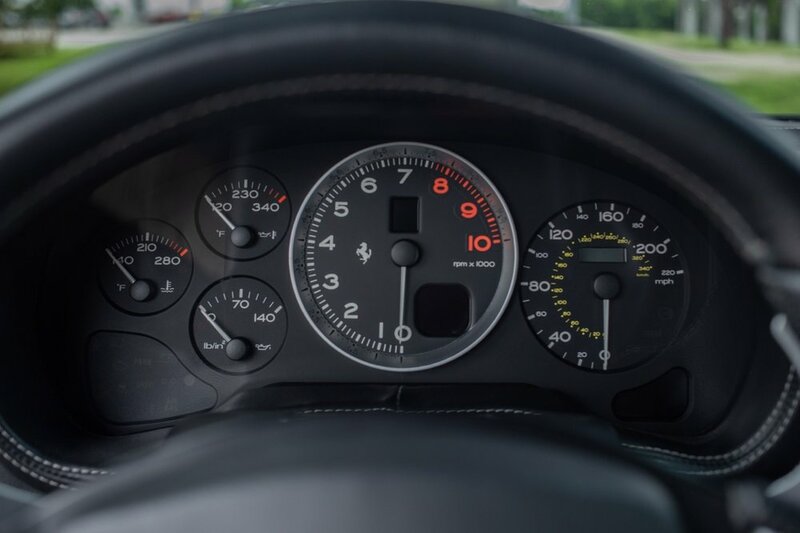 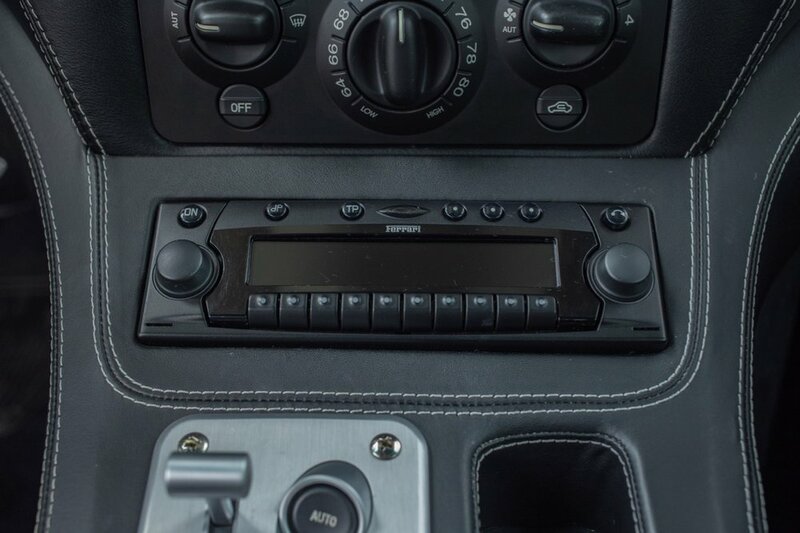 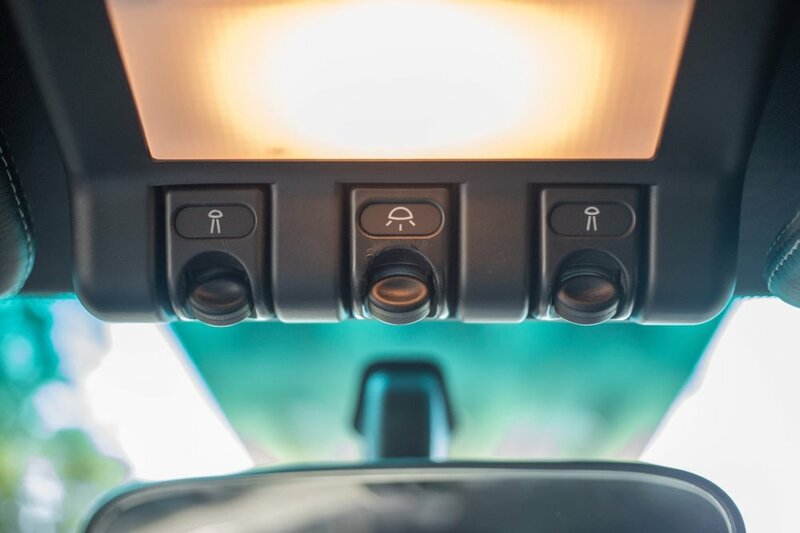 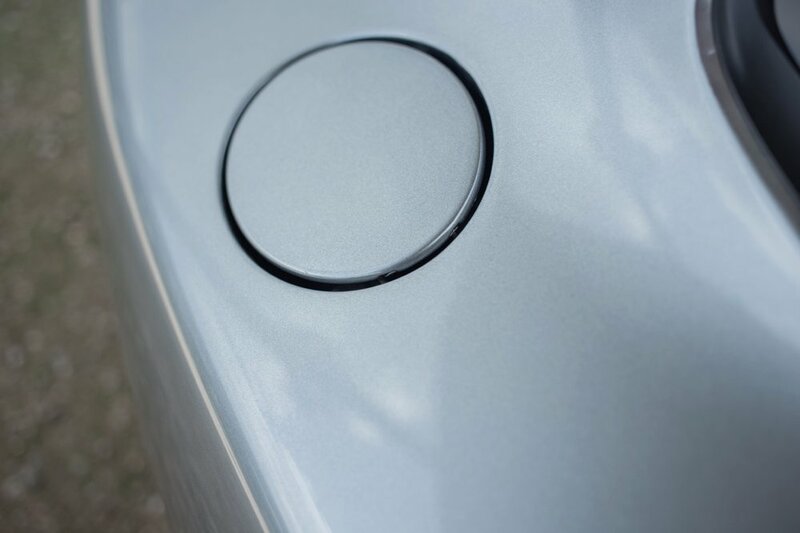 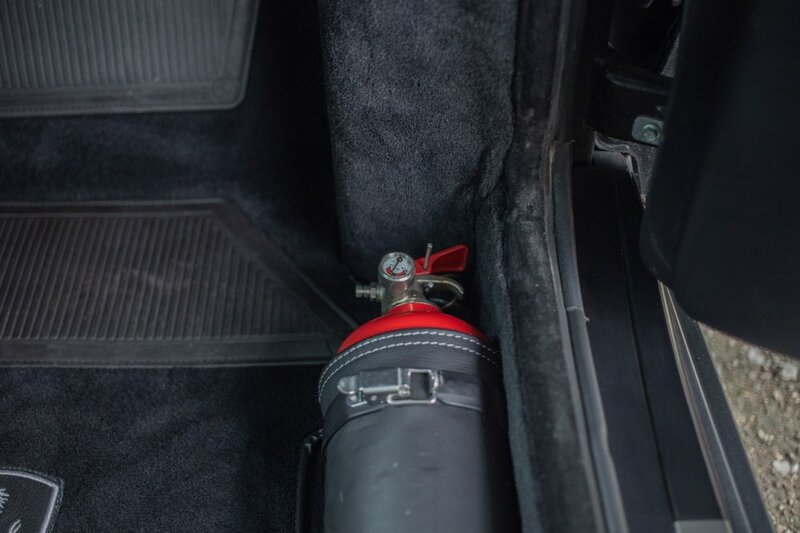 There are no rattles or other untoward noises, reflecting the low mileage history and the care the car has received over its lifetime. 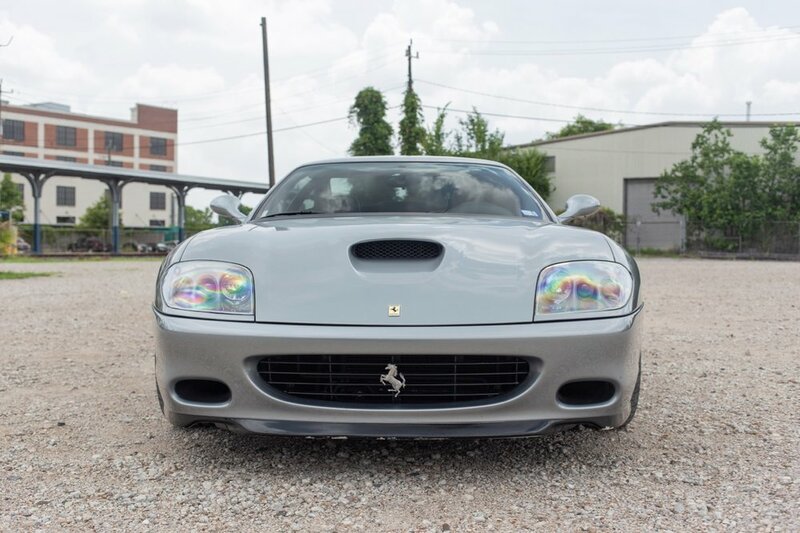 Ferrari 550/575M prices have leveled off from their high over the past couple of years, and this is the time to buy one of these incredible cars. 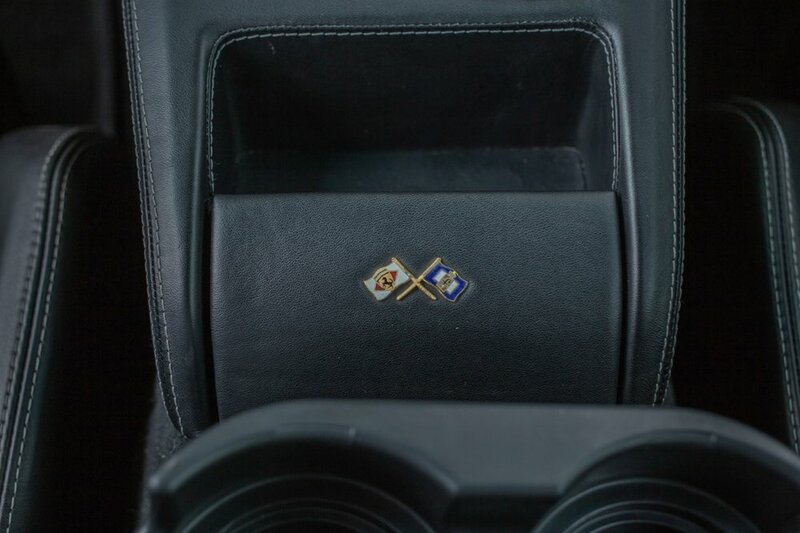 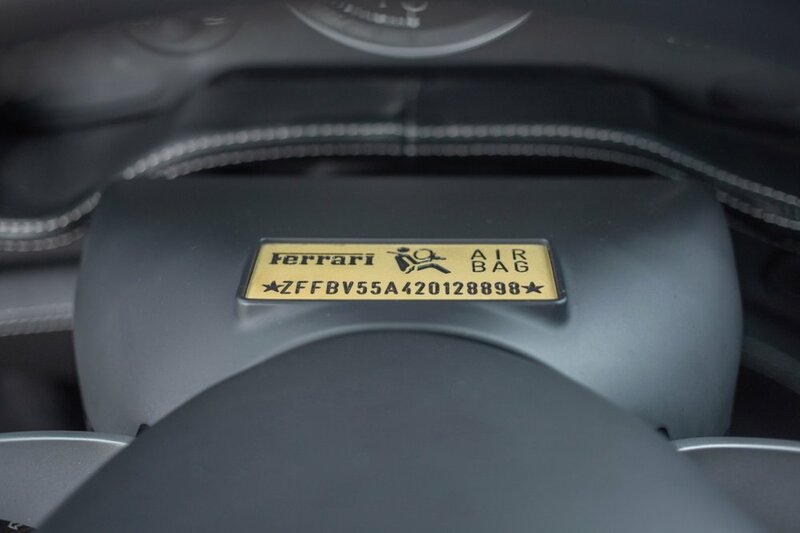 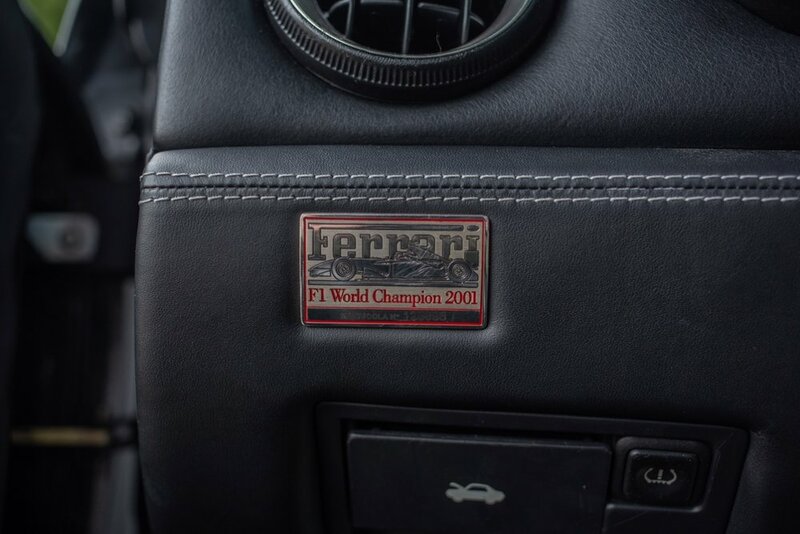 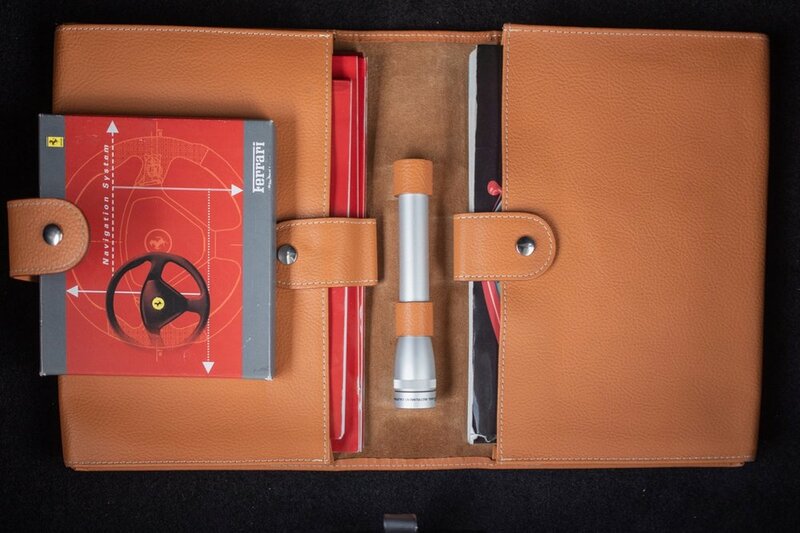 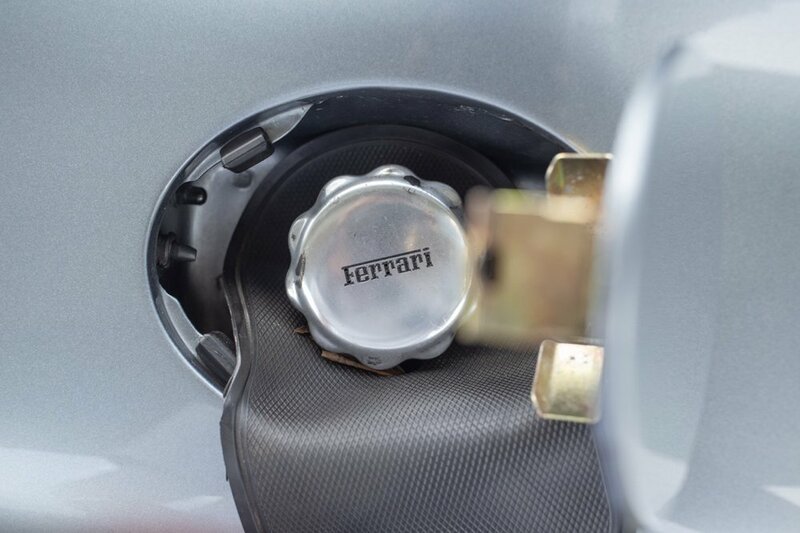 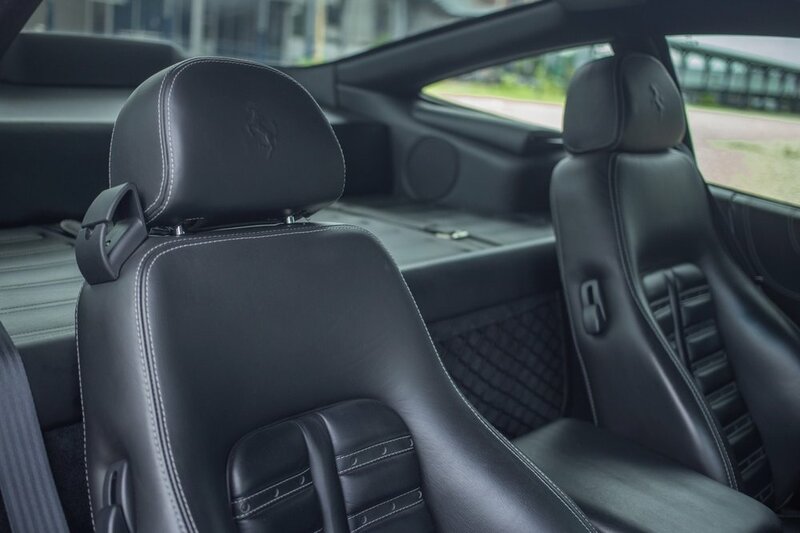 The model now has the recognition of discriminating buyers, as a true grand tourer in the classic Ferrari tradition, and is widely seen as a very collectible Ferrari in future years. 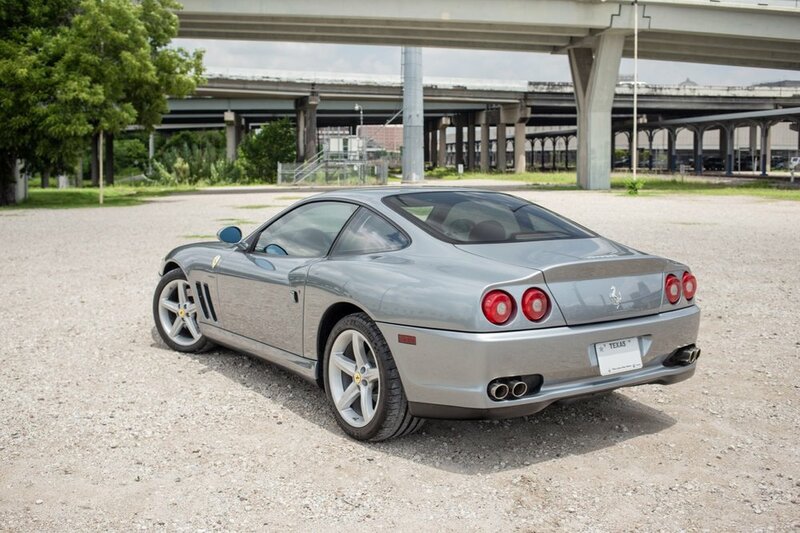 For more information, please contact Michael Foertsch at michael@mbrandonmotorcars.com or 832-617-0494.